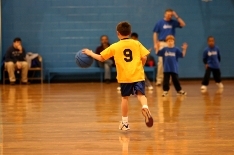 Here is one of the [tag]kids basketball drills[/tag] I use that the kids love! It is fast paced and it works well. 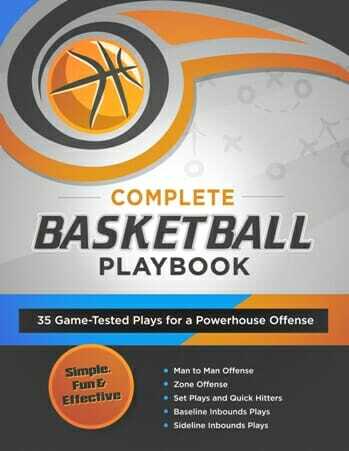 Give half of the kids on your team a [tag]basketball[/tag] and have them dribble up and down the court working on ball handling, dribbling and control. I give them a different [tag]basketball skill[/tag] to do each “lap”. While they do this the other kids line up on the free throw line to rebound the current [tag]free throw[/tag] shooters shot. If they get the rebound they get to take the next shot. 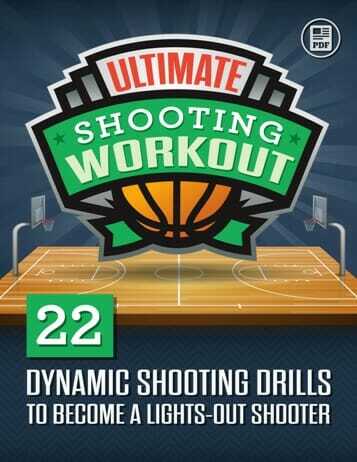 The shooters have to make 8 free throws before the other complete team (all players) goes down and back 4 times (doing a different control technique each time up and down the court). 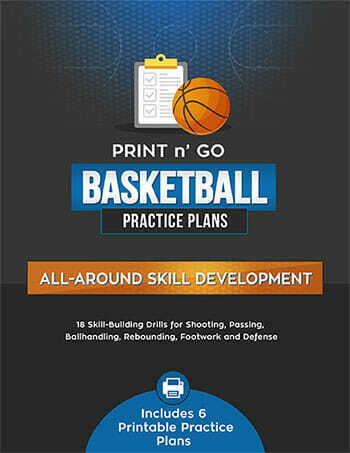 It is a great [tag]basketball drill[/tag] to get the kids shooting in a pressure situation as well as working the other group’s ball handling skills and endurance.